» Is There A Best Litter For Declawed Cats? ​Why Do Cats That Have Been Declawed Need Special Litter? ​A cat that has been declawed no longer has claws which can mean ​it is more difficult​ for the cat to dig in the litter. ​Paper pelleted litter is recommended after the declawing operation to prevent infection. ​In a hurry? Head straight to Recommendations (link ​in the Contents) for a ​quick summary of what we currently recommend. How Long To Keep Using Paper Pelleted Litter After Declawing? What ​Can You Do If Your Declawed Cat Is Rejecting The Litter Box? ​Avoid litter that is dusty as it can stick to the paws and may result in infection. As litter box avoidance ​is often a problem with declawed cats it is therefore worth considering the expense of purchasing pelleted litter as part of the cost allocated for having surgery. ​While the paws ​are still in the healing process it is important to change the litter daily to prevent contamination. You can help by choosing a litter that is soft but not too soft and is easy for kitty to dig in the litter, without the aid of claws. Fresh News is a paper litter made from 100% recycled, biodegradable paper. It is low tracking because the pellets retain their form which means they are less likely to stick to the cat’s fur or paws. This is great for less tracking but also essential for cats that have been declawed or had any other type of surgery. The wound site needs to be kept clean to prevent infection. Paper pelleted litter has no fine particles​. Fine particles found in other litters ​may work their way into a wound ​which may possibly result in infection. The pellets do not form hard clumps like a clumping litter which could be painful on the paws of a newly declawed cat. Removing the soiled pellets daily will also help with preventing infection. The paper turns a darker color when wet so you can see when to change. In addition to being good for declawed cats or cats that have had surgery it is also good for cats and owners who may have respiratory problems as there is no dust. It is 99%dust free and 100% non allergenic. ​Different size bags - 4lb, 12lb and 25 lb bag. Update:​ Yesterday’s News now have a litter which has softer pellets, perfect for newly declawed cats or cats with sore paws for any reason. The pellets are softer than the original ​pellets and there is a light scent. ​This is what people are saying about this litter​ being ​suitable for declawed cats. Yesterday's News paper pellet litter will assist with keeping the area free of contamination while the ​paws are healing. Having to deal with a contaminated wound is ​something we all want to avoid, so all steps should be taken to ensure basic safe health practices ​even if it means temporarily changing the normal litter used. ​One question about this litter ​refers to the ink used in the paper and whether it is safe. The product website says that most publishers print these days using safe inks, which are often soy based. Any inks are neutralized in the processing of this product. There are also no chemicals in this litter, so environmentally it’s a responsible choice for your cat and for the environment. ​Newspaper can be added to the compost pile for the same reasons as above, regarding the ink used. Just tear the paper up a little or a lot. Kids love doing this - permission to make a mess and you have the job done. You might think that paper is not going to soak up urine but it does and there is minimal tracking. If you love this litter but want more odor control, a deodorizer can be added. A deodorizer is suitable for using with any litter. This popular cat litter deodorizer is easy to use. Just sprinkle the deodorizer over the top of the litter. It can be used when the litter ​is changed ​ and even between litter changes. And... this litter is dust free. Many people like it for that reason alone, even if they do not have cats that have been declawed. No dust is a big plus if you are looking for a non allergenic litter. The is a pelleted paper litter made from reclaimed fallen timber. The pellets are lightweight and soft. This is a dust free litter so a good litter to use post operatively for cats that have been declawed. There are no chemicals or artificial fragrances. The absorbent natural plant fibers trap waste odors however if you are used to a fragranced product you may notice some odor. Whilst recovering from surgery it is important to be more diligent than usual to ensure the litter box is sparking clean to prevent infection. The pellets are lightweight and the box has a handy pouring spout. This is a paper pelleted product that does clump. The paper used is 100% recycled paper. The product consists of 80% of recycled paper. The exact ingredients are pulp, super absorbent polymer and starch. The clumps turn blue when soiled which is useful when scooping. It is dust free and light and easy on paws so another recommendation for cats that have been declawed. It is suitable for declawed cats and cats that have not been declawed. It does not stick to the litter box which is a bonus. It is an unscented litter. Being unscented tends to give differing opinions, some like that it is unscented and others do not. One suggestions was to add some litter deodorizer to the litter which solved the odor issue. Everyone has a different tolerance to odor so sprinkle onto the litter as needed. There may be some spread of paper pellets however this seems a minor irritation compared to the ​grittiness of ordinary litter that can be unpleasant underfoot. Following surgery, the paws will be sore and you'll need to provide a cat litter that is dust free. This will help prevent infection. Your cat will take around 14 days to recover from the surgery. After this time you may want to use a different litter or return to a litter that you have used prior to surgery. Once the paws have healed, if kitty is a little unsure about which litter to use, have both types available and he will make the choice. Ideally start using the recycled newspaper litter before surgery so that the cat has some time to get used to using a different litter. You may already be aware that cats will often reject the litter box after being declawed,​ so some stealth work may be necessary to coax your kitty back to the box. If practical, try changing ​the location of the box where there are no obstructions. By obstructions, it may be the cat has to pass by somewhere he doesn’t really want to. It may be the dog's bowl or something that is scary to the cat. Put yourself in your cat's shoes (please no meowing) and check out the navigation to the box. Use a soft litter. Your cat doesn’t have claws to dig in the litter, so it stands to reason that the litter needs to be nice and soft. ​Try to avoid the cat associating the litter box with pain, so ideally ​provide a soft litter that still has enough substance for your cat to get some traction when digging. Consider using an attractant if ​rejection of the box continues and you have tried other methods.The attractant has a scent that attracts cats and can be used with any sort of litter. All of the points mentioned above are easy to implement, however there is no substitute for paying a visit to the vet to​ identify if there is a medical issue contributing to litter box avoidance. ​Unfortunately declawed cats often have litter box problems so it may take some investigating and trial and error to solve the problem. ​Cats are most commonly declawed to prevent damage to household property. It is a highly contentious issue and is not common practice or even legal, unless necessary for the health of the cat, in some parts of the world. This is a good article around this emotive issue which points out why cats should not be declawed and this article from The American Society for the Prevention of Cruelty to Animals outlines their position statement on declawing cats. Many declawed cats end up in shelters because declawed cats frequently develop problems using a litter box. This is a sad situation however I applaud anyone who decides to adopt one of these abandoned cats. Whatever we might personally think of the procedure, it is most important that we treat all of our kitties with the care and love they need. Cats need claws to walk, run and to balance. They love to jump up to high places and they use their claws for traction, support and stability​. That’s what ​claws are designed to do. Cats use their claws when running up and down trees and to escape when needed. Declawing cats can cause health problems, for example the wound can get get infected which then needs further veterinarian care. 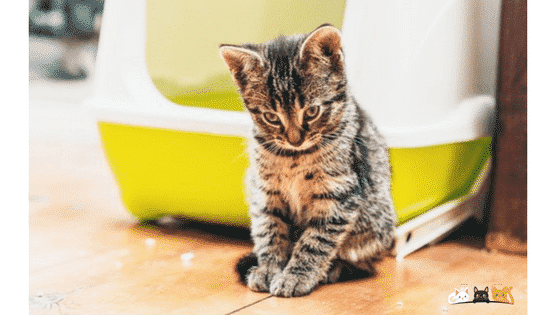 Declawed cats often have litter box avoidance issues which leads to peeing and pooping anywhere and that can lead to abandonment ​and is the reason ​many declawed cats end up in cat shelters. Declawing may sound to some as though it is removing the claws from a cat, however it is far more than that. It is amputation of the claw and surrounding bone. To put this in human perspective, it would be like cutting our fingers off at the knuckle. This can cause problems with balance, walking and running and leaves the cat unable to defend itself. Cats use their claws to help cover eliminations. Having no claws to do this is sad for the cat. ​An alternative to consider instead of declawing is to use cat nail caps. The caps fit over the whole nail with some adhesive, which is included. The ​nails are covered totally however the c​law can still extend and retract. They are made from a vinyl resin material and are shed as the cat's nails grow - approximately four to eight weeks. There are lots of fun colors and they are totally safe to use plus kitty looks totally cute. It is also not a permanent option so you give them a try to see how they work for you and y0ur cat. ​Claws can cause havoc and ruin furniture, which seems to ​be a significant reason for ​people wanting to declaw a cat. A cat can be trained to use a scratching post and even ignore furniture if you are prepared to put some effort into this. When we bought some leather sofas we were not prepared for the clawing ​tsunami that suddenly took place. ​It was as though the cat was waiting for some leather to come through the front door. ​Read how we solved the problem of the cat scratching the leather couches. A scratching post is another excellent way for a cat to use its claws to scratch. Give your cat a scratching post when he is a kitten and he will ​become accustomed to using it for scratching. There are some amazing cat scratching posts ranging from a super simple post to some quite intricate pieces of furniture. ​​Cat's claws do need trimming from time to time. Follow this information which explains exactly how to trim the claws of a cat. If ​you do not feel comfortable with this, take your cat to the vet for a claw trim. ​We greatly narrowed the field for this review as the problem and the litter type is specific to cats that have been declawed. ​The litters reviewed ​also make good choices for cats that have not been declawed so if you have a declawed cat and a cat that has not been declawed they can both use the same litter. ​We highly recommend ​Fresh News Cat Litter for declawed cats post surgery or when paws are in the healing stages. It will lessen the chance of an infection developing as there are no fine particles with this litter. Many people use this as an everyday litter and 92% of reviewers would recommend this litter to others.